"Drink from the well of yourself and begin again." Take a journey with Ally & Lindsey to pause and sink into silence within your own skin, opening up to the vibrational frequencies of sound, and awakening to the rhythm of your breath and body. This will be a restorative sound healing journey to nourish your senses through musical vibrations, essential oils and reiki. An immersive restorative yoga experience to activate your senses. Within us we hold the key to many ways to reconnect to ourselves and our surroundings, however, often we find ourselves absorbed in a go, go, go mindset that we miss the opportunity to engage with each sense. Come enjoy a night off to slow it all down and remember the magic of being fully present. 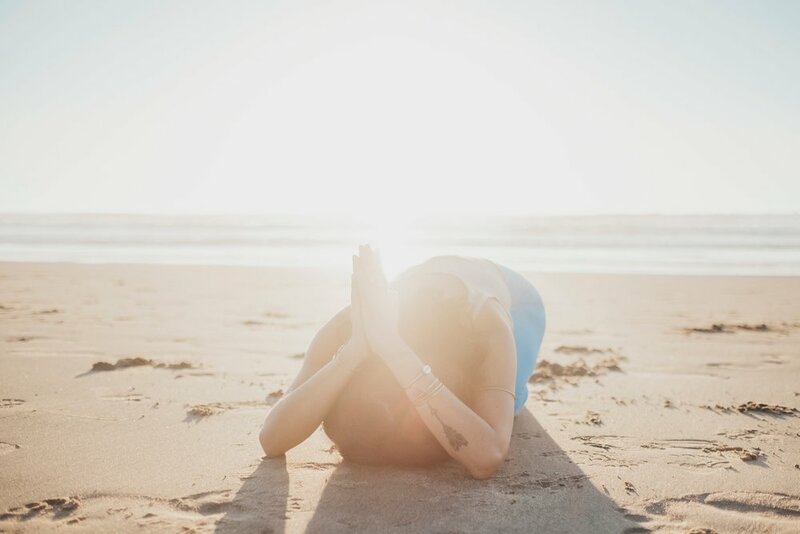 Through guided breathwork, long held restorative poses, reiki, and a harmonic soundbath we will invite ourselves into a space of deep rest, ultimately nourishing and tuning our nervous system so that we can leave feeling a sense of ease and relaxation. Full Details & Register Here! Come take a pause and spend quiet time with yourself to nourish your energy and initiate intentional rest. Together we hit the pause button, inviting ourselves to breathe and feel. Find the balance between the movement you do in flow-based classes and in your life by slowing it down. We will explore the art of how to do less by creating a space for the mind to settle, the body to be supported and tension & stress to unwind. Let go of all of the different roles you play and come exactly as you are ready to receive. Through a gentle warm up, guided meditation, breathwork, the sound of the crystal bowl, oils and restorative yoga poses we will come back to that home that lives within, leaving with a greater sense of calm and ease. No experience necessary, all are welcome! This will truly be a gift to yourself and a wonderful one to share with others who could also benefit from less busyness and more relaxation & self-care. New Moon gatherings are a time to come together and drop what separates us. In order to set our intentions for the month, we need to release all that is not serving us. While this can be done alone, it is that much more powerful when done in a communal setting, specifically with other women. We are so excited to present this KISMET New Moon Circle, to celebrate May's new moon in Taurus. We will be gathering in a beautiful location in San Francisco's Mission District. What needs to die off in your life in order to help you to truly expand the way you need to? We'll be learning how to tap into our soul's purpose through everyday actions, rhythms and rituals. … and the power of community. We hope to see you there! We are so excited to present this KISMET New Moon Circle, to celebrate March's new moon in Pisces. We will be gathering in a beautiful location in San Francisco's Mission District. What needs to die off in your life in order to help you to truly expand the way you need to? We'll be tapping into the intuition and fluidity of the collective Pisces energy and explore together. The holidays are near! And while they are so lovely, we can begin to feel off balance because of the many commitments, constant movement, and continuous social interaction. Come take a pause to ground and restore your energy during the busy holiday season with a long reflective, restorative practice. With the use of more props, longer holds, guided meditation, essential oils, the sound of the crystal bowl, and Reiki, we will unwind and release tension in the body and soothe the nervous system. Give yourself the opportunity to initiate the nourishing rest you need in order to show up fully with your loved ones during the holiday gatherings. This workshop is for all levels and will truly be a gift to yourself and a great one to give to someone special. $35 for members, $40 for non-members. 24-hour registration cancellation notice required.